If you want to do something today that your children will most certainly thank you for later, take them to see a children’s dentist in Clifton. It is very important that kids learn to take care of their teeth and mouths at an early age, so they can develop lifelong healthy habits. It is also good for them to know that the dentist is not someone to be feared, but someone who can be trusted and is going to help them. To make this possible, consider a visit to Clifton Pediatric Dental Care. At Clifton Pediatric Dental Care, Dr. Ari Sugarman and his team have many years of combined experience working with children. As a children’s dentist in Clifton, he understands the fears and concerns children have in his office and works to teach them that oral hygiene is nothing to be scared about. Since patients only make occasional visits, he also teaches them how to take care of their teeth on their own. Healthy, clean teeth instill confidence and protect your child’s health as well. Give them the gift of healthy habits by bringing them to a Clifton children’s dentist. To learn more about our office or to schedule an appointment, call Clifton Pediatric Dental Care today at 973-473-7377. Are You Searching for a Pediatric Dentist in Clifton? Finding a pediatric dentist in Clifton can be tough. You need a doctor who is great with children in a comforting facility that will put their minds at ease. It sounds like you are searching for Dr Sugarman at Clifton Pediatric Dental Care. The three things that we guarantee with each visit are great oral health care, comfort and trust. Our Clifton pediatric dentist, Dr Ari Sugarman, treats children starting from six months of age all the way through adolescence. He has had much training in pediatric dentistry and has studied at at the University of Medicine and Dentistry of New Jersey, Newark Beth Israel Medical Center and Montefiore Medical Center. 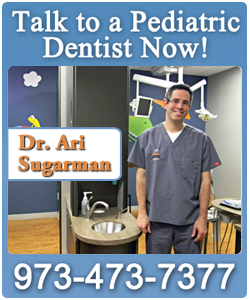 After spending several years practicing pediatric dentisty, Dr Sugarman finally opened his own private practice in Clifton. A child should make his or her first dentist shortly after they turn one. Upon your child's first visit, Dr Sugarman will check the following: gums, jaw and bite. From there, will can determine when to schedule the next appointment. It varies from case to case, although this is generally every six months. At Clifton Pediatric Dental Care, we make sure that everything we do will put your children at ease, from the decor on the walls to the friendly staff. If you would like to schedule an appointment, call us at 973-473-7377 for more information about our pediatric dentistry in Clifton. The importance of keeping a clean mouth and teeth cannot be stressed enough to children. They need to understand why it matters and how they are responsible for keeping it that way. However, actions often speak louder than words. Sometimes the best thing you can do, as a parent, is bring your child to a quality pediatric dentist in Clifton. At Clifton Pediatric Dental Care, Dr. Ari Sugarman’s team will show your kids that dental visits and oral hygiene do not need to be scary or bothersome. It is our belief that what we do at our office is only half the battle, in regard to your child’s oral health. Our routine cleanings and other specialty services are a great way to keep your child’s hygiene on track, but we also focus on educating our patients to take care of themselves when they are not in the office too. What makes us a quality Clifton pediatric dentist is our ability to make learning fun for all of our patients. Unlike adults who might just need to know the facts, kids must be taught in a way that will make them accept and not reject what they are being told and shown. Inesting in your children’s teeth today will pay off with bright smiles in the future. Let us set your kids on the right path to a lifetime of quality dental health. To learn more about our Clifton pediatric dentist office or to schedule an appointment, call Clifton Pediatric Dental Care today at 973-473-7377. As parents, we do everything we can to instill healthy hygiene habits in our children. We supervise bath time, hand washing, potty training and more. Pediatric dental care is just as important, and your children will greatly benefit from the time you take to teach them how to clean their teeth at a young age. A child who has learned to properly brush and floss growing up is much more likely to continue that routine than a child who does not understand the importance of oral hygiene. This is why a great pediatric dentist near Teaneck who can get your kids excited about clean teeth is so important. At Clifton Pediatric Dental Care, Dr. Sugarman and his team understand how to combine clean teeth and fun. Since opening his dental practice, Dr. Ari Sugarman has tried his best to make a trip to the dentist a more enjoyable experience for children. Trying to calm the nerves and ease the fears of patients, Dr. Sugarman and his staff cater to each child’s individual needs. The goal is to give them a place where they feel safe and secure, so they will always associate oral hygiene with positive memories. From preschoolers to school-agers to teenagers, each have different dental concerns that are common in those age groups. However, all are welcome at our pediatric dentist office in the Teaneck area. They may not understand right now, but your children will thank you years later for setting them on the right path to a healthy mouth for life. To learn more about pediatric dentistry in the Teaneck neighborhood and to set an appointment with the team, call Clifton Pediatric Dental care at 973-437-7377. Most children do not like going to the dentist. Most children do not find it to be an enjoyable experience. Are you looking for a pediatric dentist in Clifton that can make your children feel at ease? Aside from having the most ironic name in dentistry, Dr Ari Sugarman has completed two years of residency where he received the training and skills to make your children’s dentist visit comfortable. Our pediatric dentist in Clifton treats children as young as six months, all the way through their adolescence. Our office is filled with games, activities and decor that your children will find pleasant and enjoyable. Our goal is to provide your child with the best oral health care possible, while using all of the latest technology developed for children. Dr Sugarman received his doctorate from the University of Medicine and Dentistry of New Jersey. He then went on to Newark Beth Israel Medical Center, and learned advanced pediatric training at the Montefiore Medical Center. He now owns his own private practice in Clifton, where he specializes in pediatric dentistry. We offer early dental care for infants and toddlers. If you are interested in these services, it is recommended that you bring your baby in six months after the first tooth grows in. Before that, it is important to take care of your baby’s gums. After feeding your child, you can clean his gums by wrapping a damp washcloth around your finger and lightly massaging. When the first tooth appears, you can start brushing with a damp brush. After a couple more teeth appear, you can start to introduce toothpaste. For more information on our pediatric dentist in Clifton, call 973-473-7377. Are you looking for a kids’ dentist in Clifton, NJ? Although they may not be keeping the teeth they have right now, studies have shown that the care taken to protect a child’s teeth will directly affect their oral health as an adult. It is also much less expensive to schedule routine checkups for prevention purposes than it is to fix a problem (i.e. a cavity) that went unnoticed. For gentle but effective dental care, Clifton Pediatric Dental Care is a kids’ dentist in Clifton that can help. Dr. Ari Sugarman and his team have been serving the Clifton community for many years with their kind words and compassionate dental care. They understand that the most important part of a dental checkup is educating children on why it is so important that they take care of their teeth. Patients of Clifton Pediatric Dental Care do not just have their teeth cleaned, but leave armed with the knowledge of best oral hygiene practices. Since your kids are not always at the dentist, this is important. This age is where it is most important to begin teaching a child that the dentist’s office is a positive place to be. Parents should still be supervising their children’s brushing habits until age 7 or 8. It is important to establish healthy routines this early. Tooth decay and gum disease affects 60% of all teenagers. Since many teenagers have a preference for junk food, this may be very harmful to their teeth. The well-being of your children is largely affected by their oral health. The best way to keep them healthy is through regular visit to a kids’ dentist in Clifton, New Jersey. To learn more about Clifton Pediatric Dental Care, call us today at 973-473-7377. We look forward to speaking with you. Just because kids lose their teeth does not mean that they do not need a dentist. The dentist can be frightening for children. If you are looking for a kids’ dentist in Passaic NJ, Clifton Pediatric Dental Care has a friendly atmosphere that will ease your child’s stress. One wall even has a painting of a monkey driving a submarine. If that does not say ”kid friendly,” then I don’t know what does. Dr. Ari Sugarman is a kids’ dentist in Passaic NJ that received a doctorate in dentistry from the University of Medicine and Dentistry of New Jersey. He has also practiced at Newark Beth Israel Medical Center and Montefiore Medical Center. Dr. Sugarman has spent two years of residency working with children and using tools and equipment specifically designed for children, and knows how to make children feel at ease while getting dental checkups. He was specially trained in working with children with emotional and sensory issues. Clifton Pediatric Dental Care is a private practice that Dr. Sugarman established after several years of working in a New York health center. It is recommended that a child sees a dentist as soon as he or she grows their first tooth. That is why we have a program for infants and toddlers. But we do not stop there. We provide dental work for preschoolers, adolescents and teens. Tooth decay and gum disease affects 60% of teenagers with all the soda and candy they consume. We can provide excellent care for children of all ages to make sure that their teeth stay healthy and clean. For more information on our kids’ dental practice in Passaic NJ, call 973-473-7377. Children are known for their fear of the dentist’s office and wishing it were somewhere they never went. Despite their feelings, it is important for children to be regularly seen by a pediatric dentist in order to establish healthy dental habits and clean teeth and gums. As a parent, wouldn’t you like any help you can get when it comes to encouraging your child to willingly see the dentist. At Clifton Pediatric Dental Care, Dr. Ari Sugarman is a pediatric dentist in Passaic, NJ who can make life a little easier for you. Dr. Sugarman and his staff put their experience and skills with children to work by providing the most gentle and compassionate NJ pediatric dental care a child can receive. From preschool age children to teenagers, every child has individual needs and certain dental conditions that seem common with that age group. We will not only perform cleanings and other related dental procedures, but we aim to teach as well. Although we may make a lot of progress for your child’s dental health, they are the only ones who can protect their teeth daily and we give them all of the tools they need for a healthy mouth. They may not understand right now, but your children will thank you some day for trying so hard to keep their teeth looking great. Let us be a part of that. For more information on pediatric dentistry in Passaic, NJ, call Clifton Pediatric Dental Care today at 973-473-7377 to speak with Dr. Sugarman’s staff. 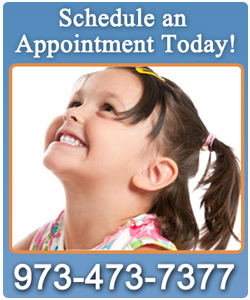 Are you looking for pediatric dental care in Clifton, NJ? Dental hygiene, like any healthy habit, must be taught to children at a very young age. A child’s dental health now can affect their dental health in the future and it is important to start routine visits early. You probably place your child’s well-being above your own and want to find a pediatric dentist who will do the same. Dr. Ari Sugarman and his team of trained professionals are here to ease your mind and keep your children smiling brightly. At Clifton Pediatric Dental Care, we understand the importance of building a trusting relationship with our patients, one that will instill a sense of security in regard to dental visits. Bad experiences at this age will carry on for most of a child’s life and can cause a permanent mistrust in dentists. Dr. Sugarman and his team pride themselves on their ability to be gentle, but efficient in the dental care they provide. Whether your child is a preschooler, school-age, or a teenager, visits to the Clifton Pediatric Dental Care office will not be something they fear. Dental hygiene is so important to a child’s overall health and well-being. Put your trust in someone who will keep your child’s teeth clean, while teaching them how to do the same at home. For more information on pediatric dental care in Clifton, NJ, call our office today at 973-473-7377. We look forward to speaking with you.